Waterfront is a former drawing in pastel color, buried for a period of two months in an abandoned plot and then digged up. This action was part of the project Groundworks. L'Hospitalet de Llobregat (see Groundworks. L'Hospitalet de Llobregat in Works 2015-2019). 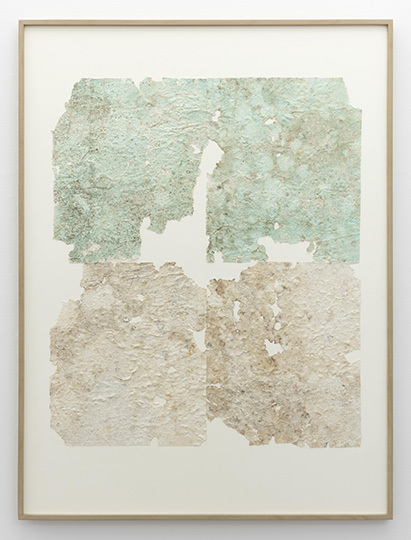 The papers, which bear the marks left by the microorganisms and humidity in the soil, were glued on cardboard as to reconstruct the space of the underground cavity were they rested.